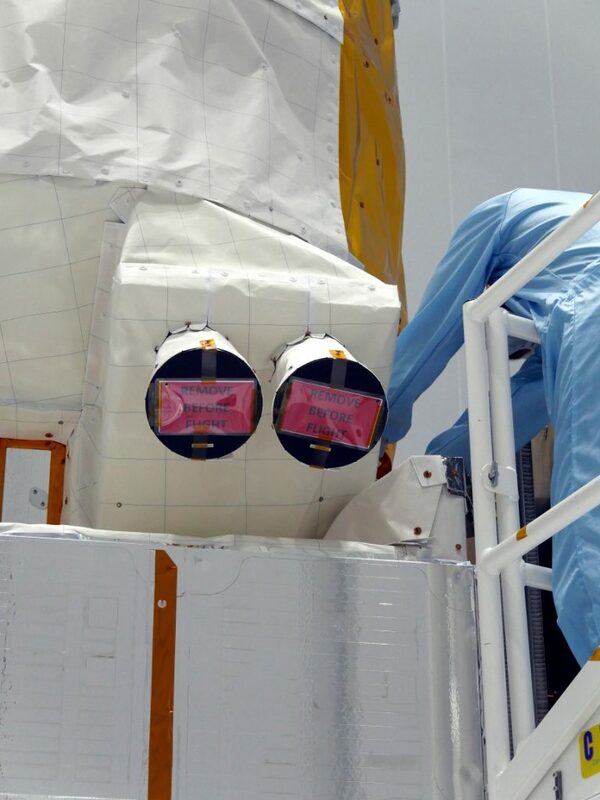 When preparing a satellite for launch, the engineers use big red tags to mark components that must be removed before the satellite is encapsulated in the rocket fairing and launched. The idea is to remove these components as late as possible in the launch campaign, and the red tags serve as an important reminder do so. These items are usually covers that protect things like optics, connectors and so on. 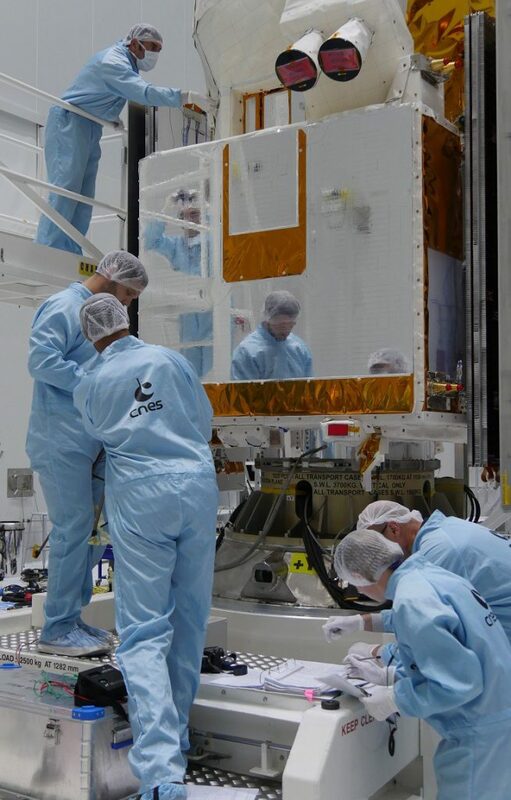 Very careful attention is paid to removing these items because if one is forgotten, the satellite will not work properly and there’s a good chance that the mission will be lost. 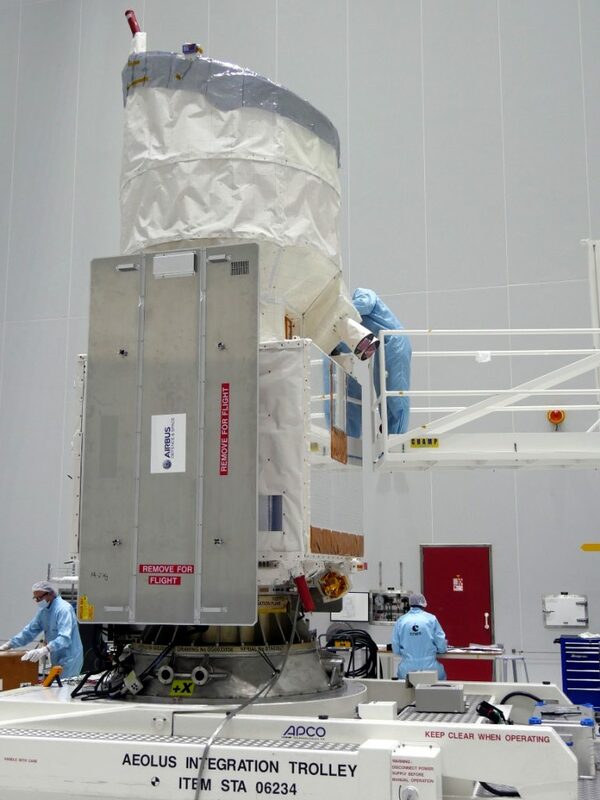 ESA’s Gilles Labruyère, who is currently working on the Aeolus campaign in Kourou, said, “There are stories of satellites being lost because an antenna or a solar array couldn’t deploy. While the engineers have spent the last couple of days making sure that this painstaking task is done, they were also able to witness something pretty exciting, albeit from afar – an important milestone in the development of Europe’s new generation of launchers. On 16 July, there was the hot firing of the P120C solid-propellant motor to prove its flight-worthiness for use on the Vega-C rocket next year and on Ariane 6 from 2020. 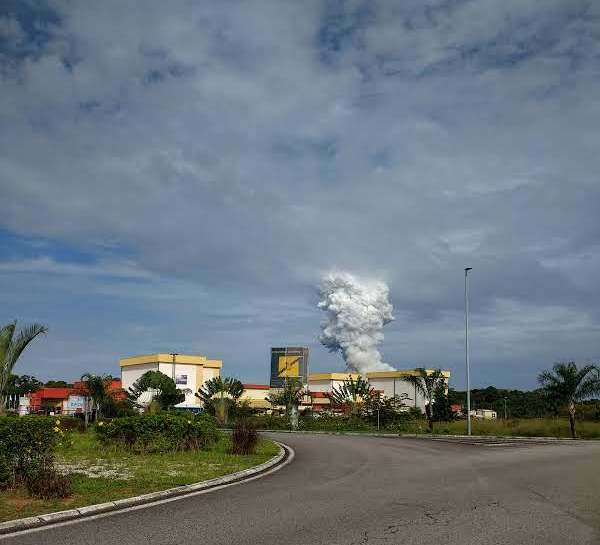 Read more: Hot firing proves solid rocket motor for Ariane 6 and Vega-C. The photo above shows the cloud of smoke from the test site several kilometres away. The yellow and white building on the right is the cleanroom where Aeolus is being prepared for launch on 21 August. The campaign to launch ESA’s Aeolus wind satellite is well underway and going well. 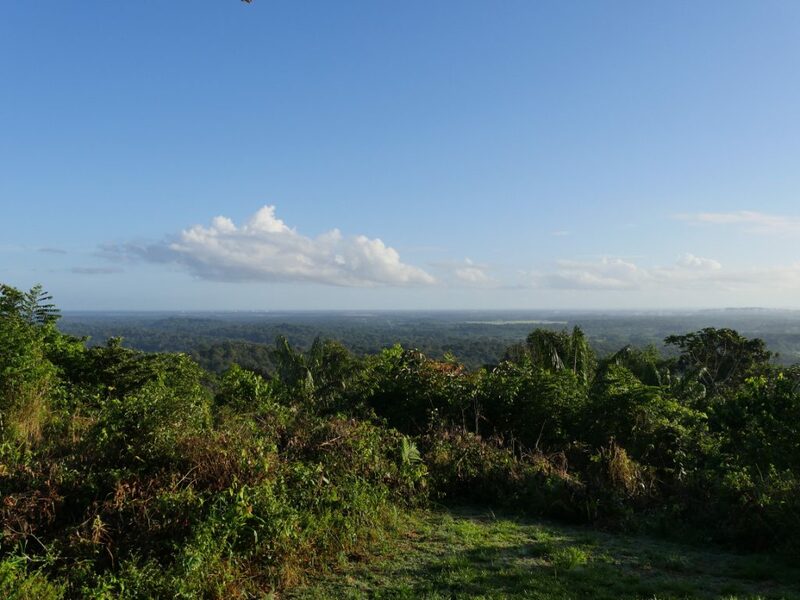 Any spare time that the engineers have can be spent trekking through the wonderful tropical forest of French Guiana!